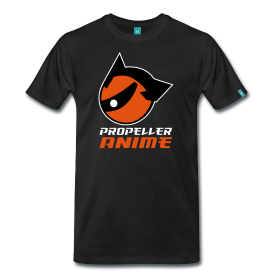 Propeller Anime: We'll be at Knightrokon THIS SATURDAY! Our friends at Anime Spot our throwing a one day anime convention this Saturday, March 3rd that is only $5! It's Knightrokon at the UCF Student Union and you should all go! Great guests like Kyle Hebert and Wendee Lee will be on hand for panels and signings, plus the usual convention stuff like the dealers' room, anime viewings, videogames, and panels will be there. Most of all, Propeller Anime will be there! We have Iron Cardboard Robot Cosplay at 1PM and a new version of "10 Anime Classics Everyone Should See" at 4PM. 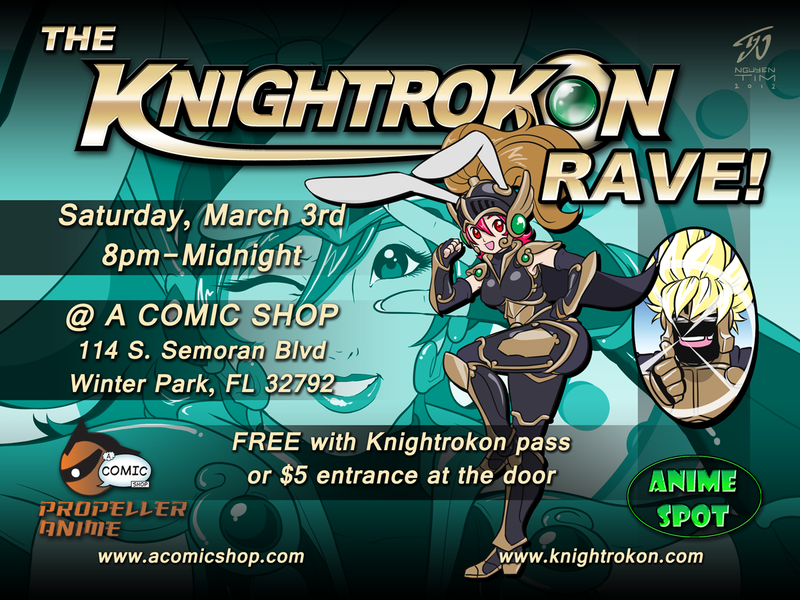 At night, we move over to A Comic Shop to help run The Knightrokon Rave! 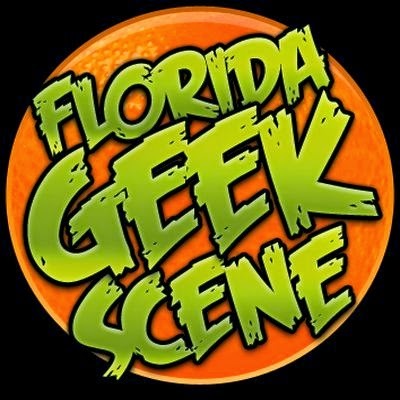 A Comic Shop is located at 114 S. Semoran Blvd Winter Park, FL 32792. 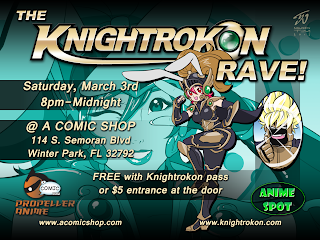 If you have a Knightrokon pass, it's free to get in. Otherwise it $5 at the door. One of our DJs is Wildfire, who is incredibly awesome! It's going to be a fun Saturday and we look forward to seeing you all!